Shu Uemura Full Shimmer Masque(200ml)RRP£39.50-our price only£25.00! Wella Professionals Invigo UV Hair Colour & Sun Protection Spray 150ml. High performance UV hair color protection leave-in spray. With Sun-blend, the spray is a high-performance hair protector that can be used both before and during sun exposure, leaving your hair beautifully healthy and hydrated. Application : rub a small amount of recovery serum in your palms, apply to the ends of clean damp hair. Do not flush. maize proteins. soy proteins. air conditioning complex SoyaFlor AN. prevents cross-section and "puffing" of hair. POWERDOSE COLOR. Protecting your freshly coloured hair from damaging UV-rays, whilst enhancing the colour. Colour Protecting. Colour radiance protection. Colour Enhancing. Coloured hair. 15ml Sachet Trial/Travel Size. Sachet For Fine/Normal Hair. You will receive 3 100ml bottles of Avon's anti-fade UV spray is the super product designed to protect coloured hair from the dreaded fade. REVITALISE & REPLENISH. (Depending on how much of a treat it needs). DIRECTIONS.Apply a splodge of this and leave for. 1 - 3 minutes. Feed your colour addiction with this luxurious conditioner, loaded with water- repelling agents and infused with nourishing oils and vitamins, to ensure your colour sparkles. Use to enhance and boost your colour vibrancy and help to close the cuticle that have been opened up during the colouring process. 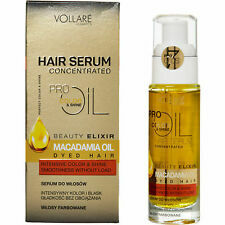 Repairing Serum madefor intensive regeneration of the whole hair and ends. DERMATOLOG ICALLY TESTED. Avon Advance Techniques Absolute Perfection Treatment Mask 150ml for Hair. Condition is New. Dispatched with Royal Mail 2nd Class. The finishing colour care fluid protects the colour for beautiful shine and radiant hair. The creamy formula softly melts into the hair to improve combability and provide a soft hair feeling. The highly advanced Fibrachrome Complex actively improves colour longevity and freshness. Application: Apply 3 to 6 pumps onto towel dried hair. Comb through, do not rinse. Dry as usual. Use as a final step after every Colour Lock Treatment. 200ML EACH. STYLING FOR COLOURED HAIR. UP TO 2 X LONGER COLOUR FADE PROTECTION. BATTLES HEAT FOR LUMINOUS SHINE. Osmo Colour Save Conditioner (1000ml) - a nourishing formula designed specifically for maintaining the vitality and health of coloured hair. Strengthens and smoothes the hair cuticle whilst simultaneously providing protection from harmful free radicals with Vitamin E. Sulphate free. L'OREAL PROFESSIONNEL Serie Expert Colour Correction CC Hair Cream Brunettes 150ml. L'OREAL PROFESSIONNEL Serie Expert Colour Correction Cream Brunettes 150ml Recommended for: Brunette hair. CC cream for colored brown hair. Effects Hair color is more united and stronger. Neutralises red / ginger tones. For beautiful natural brunette shade. Ideal care for brown colored hair. Hair Type: This product is suitable for coloured hair. How to use: Apply evenly to towel-dried hair. Leave for 5-10 minutes and then rinse thoroughly. Making it elastic. protection under heat and making it elastic. Refine Shampoo 100ml. Refine Mask 100ml. Cross linking, creating and restructuring all hair bonds as Di-sulphide (Sulphur) & Van der Waals. Birrea (Marula) Seed Oil, Limonene, Beta-Carotene, Hexyl Cinammal, Linalool, Citronellol. COLOUR CARE SERUM FOR DYED HAIR. Apply a small amount of serum on wet or dry ends/chosen strands.DO NOT RINSE. 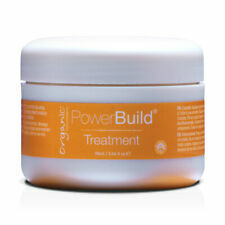 To use: Dispense one pump into palm of hand and run through towel dried hair to smooth and protect during styling. Adjust amount and application depending on your hair's length and density. Finish your style by applying to dry hair to smooth frizz and fly-aways. L'Oréal Professionnel Serioxyl Denser Hair Serum 90ml. Use L'Oréal Professionnel Serioxyl Denser Hair Serum daily, preferably at night, for a minimum of three months. L'ORÉAL Professionnel. ◈ L'ORÉAL Professionnel. Size: 28ml. Radiant Shine. Specially developed to help care for your coloured hair, this multi-purpose light weight oil also enhances hair's natural shine. Skin Type: Suitable for all skin types. Contains a bespoke blend of oils including pracachy oil and kukui nut. An infusion of hydrolysed keratin intensively repairs the internal structure of your hair, strengthening its elasticity and promoting a healthier look and feel. Work through the mid-lengths to the ends of clean hair, leave for 5-10 minutes, then rinse thoroughly. AVEDA color conserve. DAILY COLOUR PROTECT 100ml. FOR MAXIMUM EFFECT PRE-WASH WITH COLOR|CONSERVE SHAMPOO & CONDITIONER. UPC 9339341003533. Country/Region of Manufacture US. Hair Type All Hair Types. Formulated with Stemoxydine, a hair-revealing molecule born out of ten years research and Neohesperidin, which protects the hair & scalp from oxidative stress. In just three months, hair density is greatly improved. Radiating and beautifying scented oil for colour-treated hair. Conditon: New, authentic and factory sealed. There is a long crease along the left side of the box. Naturtint Anti-Ageing CC Cream – 200ml. Hair looks and feels younger and your colour lasts longer. • Baobab Extract. AQUA PURIFICATA (PURIFIED WATER) . HELIANTHUS ANNUUS (SUNFLOWER) FLOWER EXTRACT . L'Oreal Serie Expert Power Repair Lipidium Serum. 10ml/0.4oz f.l x 1 Ampoule. ● If you prefer. Confirmation and. What else you need to know Made in Spain. Wella SP Color Save & Volumize Infusion - choose the one you want BEST PRICE !!! EGG YOLK & CASTOR OIL. Mask nourishes hair and improves its appearance and condition. ContainsEgg Yolk andCastor Oil. Shiny and natural beauty hair. for lightened and coloured hair. JOANNA EGG HAIR MASK. Bonacure Color Freeze Colored Ends is a lightweight ‘leave-in’ balm that prevents colour-treated hair from breaking. This price is for 3 - 75ml bottles as shown in the picture! 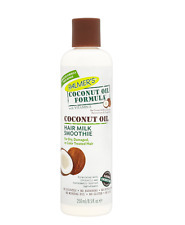 This product is ideal, whenever split and dry ends need a nourishing, sealing effect. Concentre Pixelist. Fusio- Dose. Fusio-Dose is the 1st entirely customised ritual from Kerastase, capable of resolving all your hair problems. Loreal Elvive Colour Protect Day Cream Colour Care 150ml Leave-in Conditioner . New. COLORUP COLOR PROTECTION ECO-FOAM 240ml. Provides vigor to hair structure, smoothes the cuticle and prevents color from fading. Leaves hair easy to manage and beautifullyradiant. Apply to wet hair, do not rinse. Marke Alterna. Caviar infinite color. Serie Caviar Infinite Color. hair serum. Maßeinheit 100 ml. On dry hair: Place a small dollop into palms, rub hands together and smooth through hair from scalp to ends, On damp hair: Apply evenly, working through hair, focusing at the ends, no assist in detangling. To use: Apply after No Orange Shampoo from the lengths of the hair to the ends. Leave on for 3-5 minutes before rinsing. Warning: Do not apply to bleached or streaked hair. View Related Products. This light spray gel formula creates dynamic curl retention, anti-frizz and lustrous shine. This citrus ginger scented product is ideal for air-drying to enhance natural texture, or blow-drying. All products are NEW from Avon. With Advanced Shield Technology. Conditions and protects hair. Contains Marula Oil. It improves the elasticity, flexibility and softness of hair. It protects hair from heat and UV radiation. 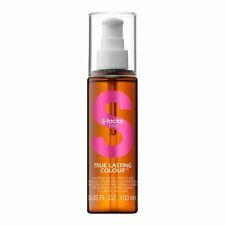 Specialized complex of active ingredients acts as a conditioner to protect the hair color.